THE BLACK DAHLIA MURDER will release its eighth full-length album, "Nightbringers", on October 6 via Metal Blade Records. 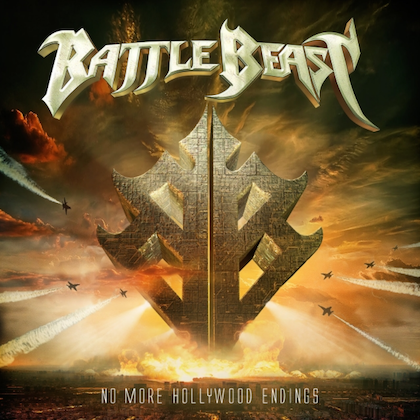 The official music video for the disc's title track can be viewed below. Rather than meticulously plan things out or stick rigidly to any kind of template, when it comes to writing, THE BLACK DAHLIA MURDER prefer to let things happen organically. 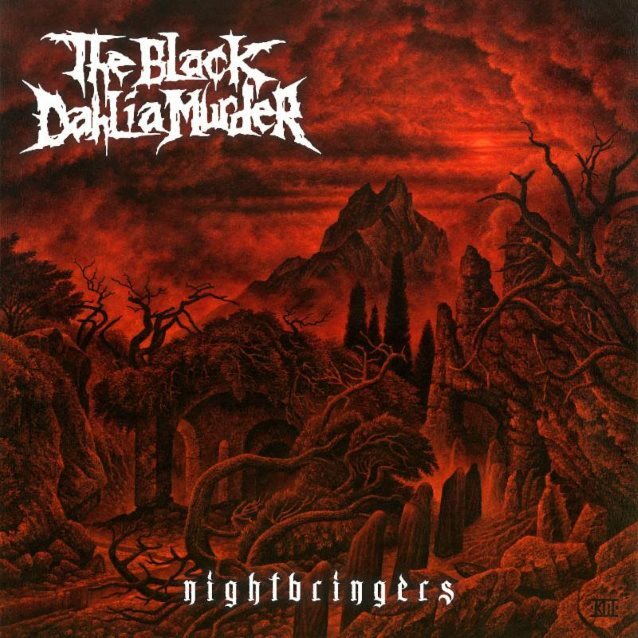 In the hands of guitarist Brian Eschbach — who co-founded the band with frontman Trevor Strnad in 2001 — and new recruit Brandon Ellis (ARSIS, ex-CANNABIS CORPSE), "Nightbringers" is rich with dynamic riffs that are at once fresh and classic THE BLACK DAHLIA MURDER, resulting in a collection that shifts through many moods and effortlessly incorporates various elements of extreme metal. 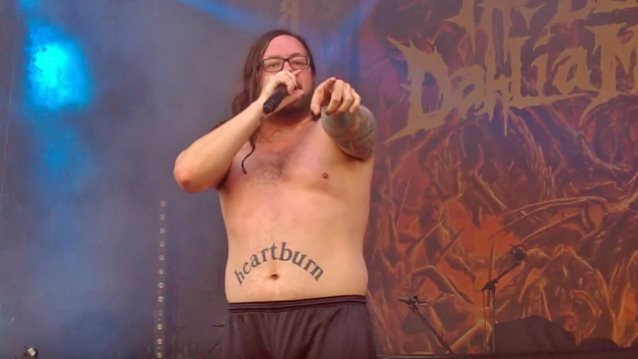 While Strnad explores a variety of themes and ideas with his lyrics, they are united by the album's title, which embraces a tenet that has been central to THE BLACK DAHLIA MURDER's output since the very beginning. "Death metal and nighttime are synonymous to me," Strnad explains. "We are the rulers of the darkened hours that the Christian good fears. 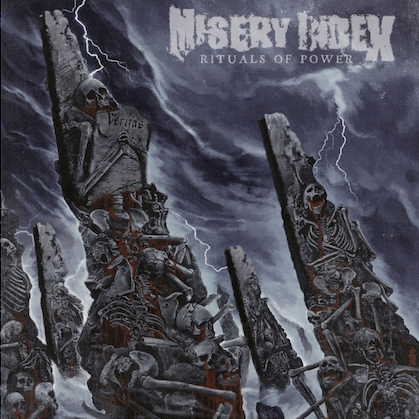 A lot of archaic ideas that are still upheld — such as marriage and monogamy — came from Christianity, whether people want to acknowledge it or not, and to me, death metal has always been bucking that. It's 'being-the-villain music', because we're the enemy of Christianity, the enemy of all that is good and traditional. Death metal is for free thinkers, it's for showing people the path to inner strength and operating on your own will, instead of being told what to do and living in fear, and songs like the title track and 'Kings Of The Nightworld' are about leading a legion of awakened minds into battle." THE BLACK DAHLIA MURDER is currently co-headlining "The Summer Slaughter Tour" with DYING FETUS, OCEANO, ORIGIN, SLAUGHTER TO PREVAIL, RINGS OF SATURN, BETRAYING THE MARTYRS and LORNA SHORE as support. This USA trek sees THE BLACK DAHLIA MURDER performing "Nocturnal" in its entirety, for the album's tenth anniversary.